As women (and maybe some men), we can be obsessed with the number size of our clothes.You ever realize why you a size smaller in one brand and larger in another, that's because all clothes are not created equal! 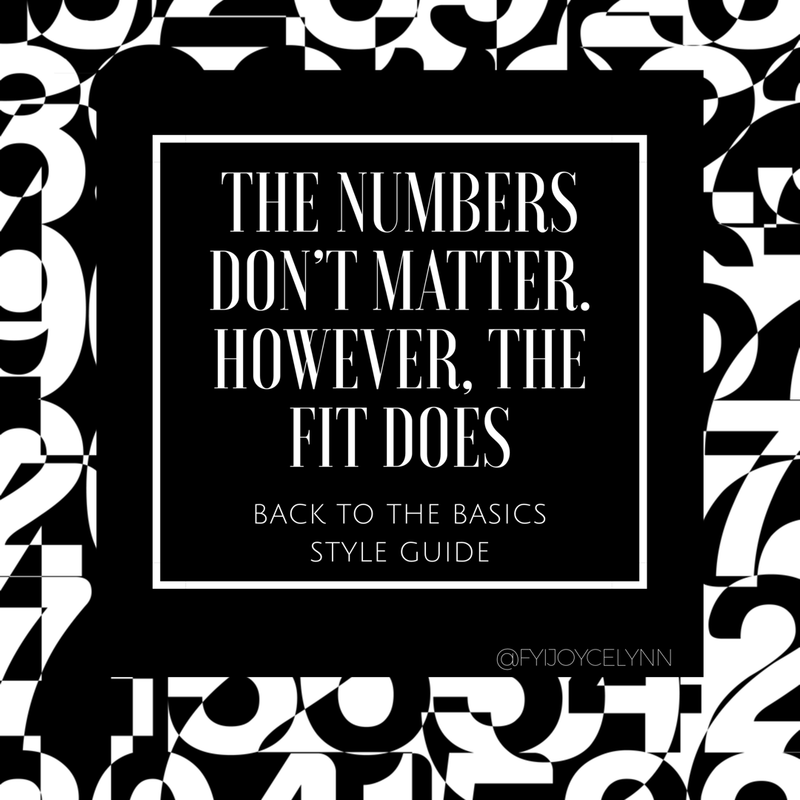 Many of you may know clothing from different designers and brands are not made equal.That is why is important for you to know your body type and to know what clothing work best for you and how they're supposed to fit. Below are some tips on how to not over obsess over your clothing size. -I remember watching a episode of Oprah (circa 2007) and she mentioned that she cuts the size tags out her clothing, especially her jeans. -Wearing clothes that are too tight makes you look bigger. All the fabric gathering together and causing creases creating rolls and muffin top, that's a sign that you may want to go up a size. -Get your clothes tailored. There's something special about clothing that's made specifically for you and customized to your body. If want more a polished look, this is the way to go! -Try on the clothes in the store. I know, I know, its no ones favorite but you'll save time knowing if the items you're purchasing are worth going in your closet. In 2018 we are focusing on quality and looking and feeling our best! I hope this helps you and if you want to know more about how to find clothes for your body type then to be sure to check out the Back To The Basics Style Guide!